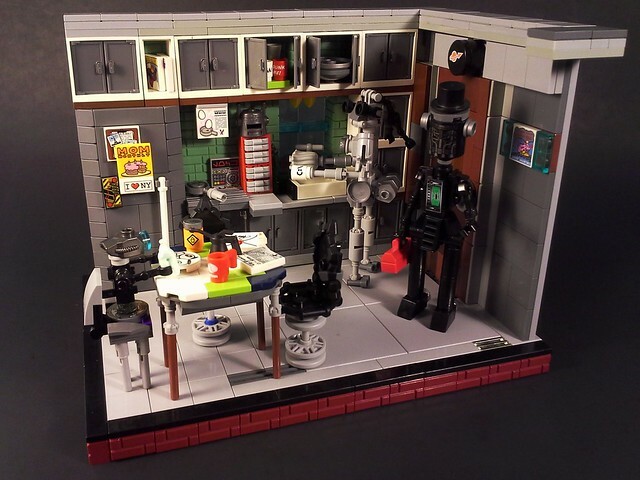 Builder LEGOMINDED gives us all a peek into the everyday domestic life of the Robo family, and it's a treat. I can't really tell if this is a garage or kitchen, and I think with a robotic family, that would be the case. Either way it's packed with details and a feast for the eyes.